Disclaimer: Electrical wiring is inherently dangerous. No warranties are issued or implied about the safety or success of this system. What I built is an automated-start version of a standard rotary phase converter with 3hp capacity. While the auto-start feature is not required and thus adds a little complexity, the general construction rules of a rotary phase converter still apply. One major benefit of the auto-start feature appears when it comes to expansion; I can start the converter from anywhere I can install another start/stop button. The general rule of thumb is that you can start and run a motor equal to the hp of your idler. My largest machine tool motor is 3hp and thus I bought a spare 3hp, three-phase motor to be my idler. The frame spec and shaft condition of the idler is not important so a surplus motor can be used. To get to rotary conversion we must first understand static conversion. The idler motor in the rotary converter starts and runs in a static mode. In a typical household, 220 VAC exists on double-pole breakers. We say this has “2 legs”. A three-phase motor will RUN on only two of its three legs. Otherwise said, with single-phase power we can run a three-phase motor. The issue then becomes how to start said motor, because a three-phase motor will NOT START on single phase by itself. There are two ways to start a motor that is going to be run with static phase conversion. Most basically, we can start the three-phase motor mechanically by spinning its shaft with an outside source of power. This is typically a belt-drive arrangement from a smaller single-phase “pony” motor, and requires lots of design and safety considerations. The second, and simpler method is to start the motor electrically with a capacitor. There are only two basic functions in starting and running a three-phase motor in static mode. Switch single-phase power to two legs of the three-phase motor. Connect the starting capacitor to the 3rd leg of the idler motor long enough for it to start, then remove it from the circuit. A momentary push button, hand-operated by the user, can connect the capacitor just long enough to start the idler motor. In my case I automated this process using a timed relay to connect the starting capacitor to the circuit, then drop it out. Rotary conversion begins once a three-phase motor has been started and is running on single phase in static mode. Once running, if we measured all three voltages (L1-L2, L2-L3, and L1-L3) in the above diagram, after the motor is running, we’d find approx 230VAC for each measurement. The points where we are measuring the three voltages is where three-phase power is now available! This is where to tie in the other machinery motors we want to run. In my converter, I elected to automate the drum switch and the manual push button for the starting capacitor. Instead of the drum switch I used a two-pole 30amp contactor, and instead of the manual push button I used a timed relay to drop out the starting capacitor (thru a single-pole contactor). Below is the relay logic diagram for the controls, all of which are 120VAC. If you’re new to “ladder” logic, consider that a “rung” (horizontal line) has continuity when the circuit is completed. For example, on the first rung, the Red Stop PB has continuity being normally closed. Pushing the Green Start PB energizes the coil of relay CR40. When the normally open contact marked ’40’ closes, it then bypasses the Green Start PB (which will be released and go back to normally open). The coil of CR40 will then be energized until the circuit is broken by depressing the Red Stop PB. There are two other normally open contacts on CR40. On Rung 2, when the run relay CR40 is energized, the two-pole contactor C1’s coil is energized (performing the single phase power switching to the motor) as well as TR50’s coil which is a time-delay relay. Above is the field or power wiring diagram. If you look closely you will see all the basic elements from the very simple static phase converter diagram shown earlier. Contactor C1 has replaced the drum switch, and Contactor C2 has replaced the momentary pushbutton for connecting the starting capacitor between L2 and L3. I have also tapped off the three-phase power (horizontal lines) below the fuse block for distribution thru the shop to the various machines. I have also added in the ground wires to the diagram which are very important and should not be ignored! Design of the starting capacitor was inline with the common guideline to use 100 uF per hp on the idler motor. It is important to use AC rated capacitors for 230 VAC. Many phase converters use running capacitors. You’ll note that my design does not include them. Running capacitors can be used to balance voltages between the three legs. The conversion process doesn’t generate perfect three-phase as would come from the power company, but for most applications it isn’t needed. I found my voltages to all be within 10% of the nominal 230VAC single-phase measurement, which I deemed acceptable. Typical 3 phase motors come with 9 labeled wires inside the junction box, for either 220V or 440V hookups. This is industry standardized, and would be helpful for those who are about to wire up their first idler or machine tool. For 220V, Leg 1 gets hooked to wires 1 & 7, Leg 2 gets hooked to wires 2 & 8, Leg 3 gets hooked to wires 3 & 9. Wires 4, 5, & 6 are all hooked together only. For 440V, Leg 1 gets hooked to wire 1, Leg 2 gets hooked to wire 2, Leg 3 gets hooked to wire 3. Wires 4 & 7 are connected, wires 5 & 8 are connected, and wires 6 & 9 are connected. Many tools formerly used in industry come to home shop users wired this way…we just need to unhook all nine wires and then re-wire as above. To reverse rotation on any three-phase motor, just reverse any two hookups of L1, L2, or L3. For example, swap L1 and L3 motor connections to power. Above is the user interface for the phase converter. It is mounted next to the garage distribution panel. I have the two push buttons for start and stop, plus a disconnect switch for control power. The liquid-tight flex conduit at left goes to the idler motor. I had mentioned earlier that one of the benefits to automated starting was that the converter could be started from anywhere a set of stop/start buttons could be placed. I had originally wired the phase converter for my garage. With my expanding lineup of machines, I found it necessary for three-phase power in my basement. Rather than incur the expense of building another converter, I opted for the following solution. The diagram below shows how the first rung only of my original ladder logic was modified for a second set of start/stop buttons, plus an indicator lamp to inform me when the idler motor is running. In general, stop buttons are wired in series and start buttons are wired in parallel. Note that wires A-B-C-D are quite long, approx 60 feet in this case. The lamp has an internal switch for “push-to-test” that had to be wired such that it did not act as a “start” switch. This is the auxiliary control and distribution panel. The wiring on the internal panel was much simpler than the original panel with all of the starting controls. I have a machine “temp’d” into the panel for a test, and I did hookup the ground wire before actually proceeding. Below is a table indicating all the elements needed to duplicate my main starting panel. I purchased all the Grainger parts and extracted the Allen-Bradley parts from a piece of scrapped factory equipment. Note that the Allen-BradleyParts are very expensive to buy new, and less-expensive versions from WW Grainger or another electrical supplier could be substituted. I have specified equivalent parts from the WW Grainger Catalog, but please check these carefully before using as I have not actually tested the alternate parts for compatibility with the original Allen-Bradley Parts. 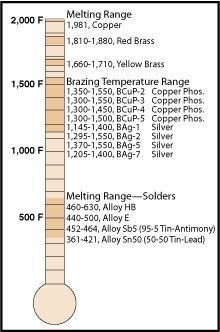 Here is the corresponding graphic legend showing part numbers for the parts table above. Here is the parts list and legend for the Auxiliary Remote Panel. The same issues apply here: I have listed alternate parts from the WW Grainger catalog that could be substituted for the expensive Allen-Bradley components. However, I have not verified the compatibility by physical testing, just selecting each from their catalog.